I’ve gotten this far down on the body of the sweater, and I’ve got that much yarn left. Unfortunately, this particular yarn was purchased several years ago and I’m pretty sure that it’s been discontinued. I’m at that point in the sweater-knitting process where I usually give up and move on to another project (as my two other very similar half-finished sweaters will tell you). But part of the reason I started this blog was to give me a reason to complete all of my unfinished projects. So I will persevere and maybe just switch to crocheting the rest of the damn thing, as we all know that in the time it takes to knit the bottom half of a sweater, you could crochet an entire bedspread. Luckily, it’s the start of another three-day weekend. 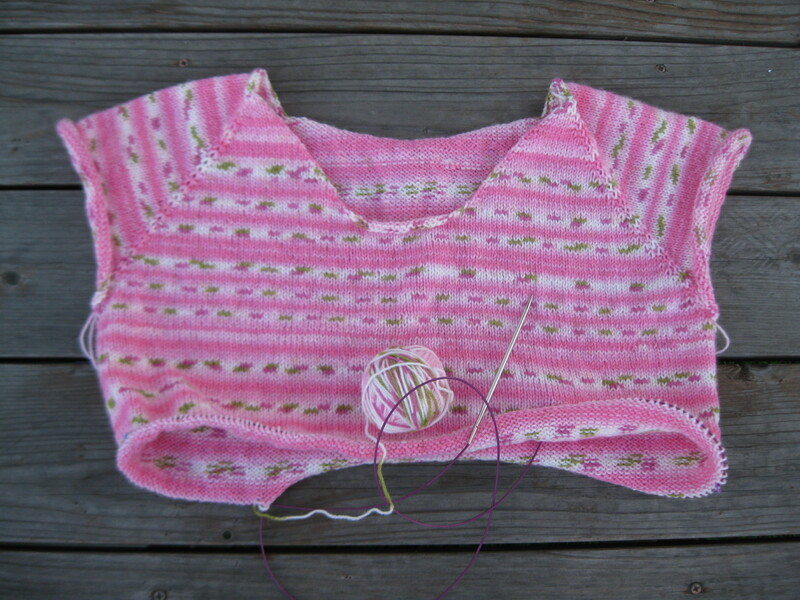 Categories: Handmade | Tags: knitting, top-down sweater | Permalink.